You never know when an accident might happen whether to you, a friend or a complete stranger. Even if you have first aid training, if you don’t have the equipment to solve the problem, there isn’t too much you can do. While in civilization you have the comfort of knowing you can dial 911 in case of emergencies, what happens when you’re hiking on a mountain or a secluded part of a national park? As much as you might believe you won’t run into any issues, you never really know. 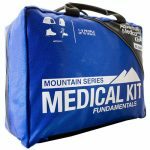 That’s why it’s essential you have a hiking first aid kit with you. 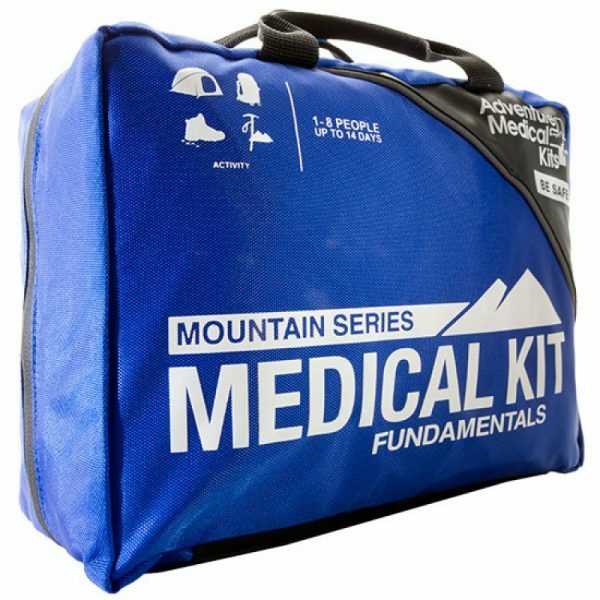 This little bag has pretty much everything you need in case of an emergency including a guide to help walk you through some basic first aid steps. 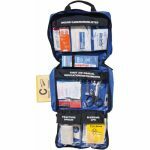 It comes packed with the essentials to handle most trauma and injury at least until medical help arrives. Everything is organized in a logical manner so even if you’re panicking, you should be able to find everything you need. 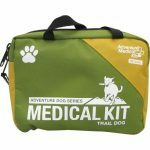 It even includes some extra bottles so you can easily customize your kit to suit your needs. Due to its small size, there’s not much room to pack additional items, but you can always add and remove items as you see necessary. 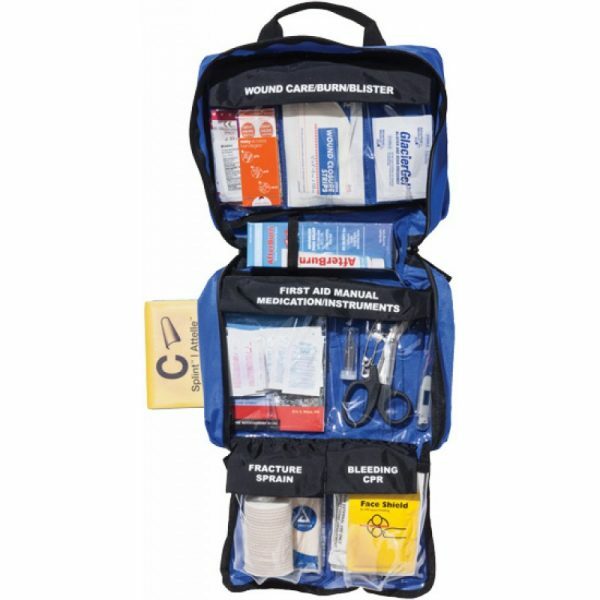 Maybe you want some extra bandages or perhaps you want to pack more valuable items like an epi-pen, insulin pen, heart medication or other items that might come in handy. For those more experienced in first aid other items like QuickClot and different styles of trauma dressing maybe be more useful. 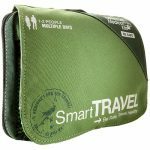 While this is a must-bring when hiking, it’s also a great kit to have almost everywhere including your home, office and in the back of your car. Again, you never know what might happen, so it’s always good to be prepared. Who knows who’s life you might save because you had a first aid kit handy.